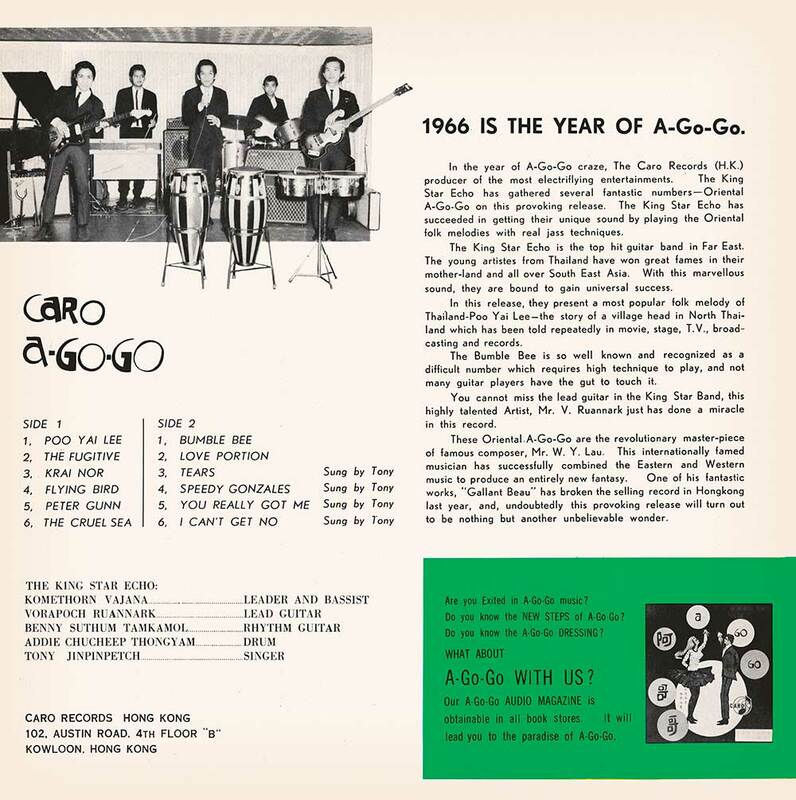 Now is your chance to grab a copy of the elusive "Caro A-Go-Go" LP, a classic Hong Kong surf instrumental and garage rock masterpiece! 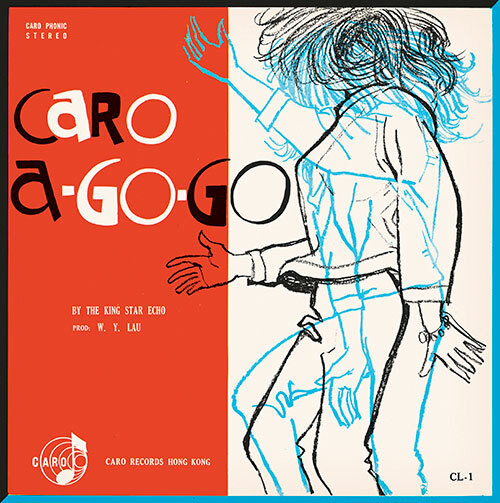 King Star Echo was actually a Thai group, however, the band recorded and released this one top-notch Thai-Beat gem in swinging Hong Kong in 1966. Infested with twangy, acid-drenched guitar and demented, garage-a-delic organ, this lost artifact from the Far East will have enthusiasts of mid-Sixties Beat music going ape. The album opens with a raucous rendering of the Thai folk classic "Poo Yai Lee" and then blazes through more than a half-dozen surf and instrumental classics that will have fans of reverb drenched guitar in awe of the axe-wielding genius, Mr. V. Ruannark. King Star Echo's renditions of "Bumble Bee", "The Fugitive" and "Peter Gunn" blend perfectly the music of the West with the exotic temperament of the East rife with lysergic-infused guitar onslaughts. Demonstrating their ability to get primitive and deranged while still sounding like coherent musicians, for closers, the band treats us to some truly monstrous garage covers of the Kinks "You Really Got Me" and the Rolling Stones "Satisfaction". This record will launch you into the crazed mid-Sixties Asian A Go-Go world you never knew existed. If you are into top-shelf weirdo exotica with a hint of psychedelia and distorted guitars, much in the vein of the Simla Beat records, Cambodian Rocks & the Thai Beat A Go-Go series, then this Bangcock rocker is for you!